Whereas most detractors of Two And A Half Men are content to ignore it or make snotty remarks about it on the Internet, Bronx resident Freddy Caldwell adopted a slightly more drastic measure: Fed up with the show's daily hour-long run in syndication on local WB affiliate WPIX-11, Caldwell called in two separate threats to blow up the station’s building if it didn't stop running the slightly fictionalized adventures and obvious innuendo of Charlie Sheen and Co. every day. As it turns out, it wasn’t a sound strategy. 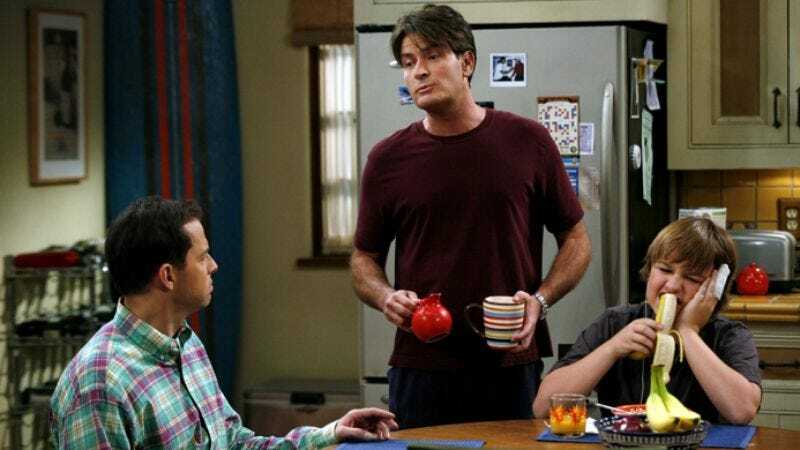 Not only does Two And A Half Men continue to air in the 7 p.m. to 8 p.m. hour, police easily traced Caldwell’s phone calls and arrested him for falsely reporting an incident and aggravated harassment. Unclear in the New York Post’s article from over the weekend is whether Caldwell is a disgruntled Two And A Half Men fan upset that he’s already exhausted the show’s run and impatient for the dawn of the Ashton Kutcher era, or someone so incensed by its existence that merely avoiding it by changing the channel isn’t enough—he must obliterate it from the earth. If it’s the latter, presumably defense attorneys will simply submit the theme song.